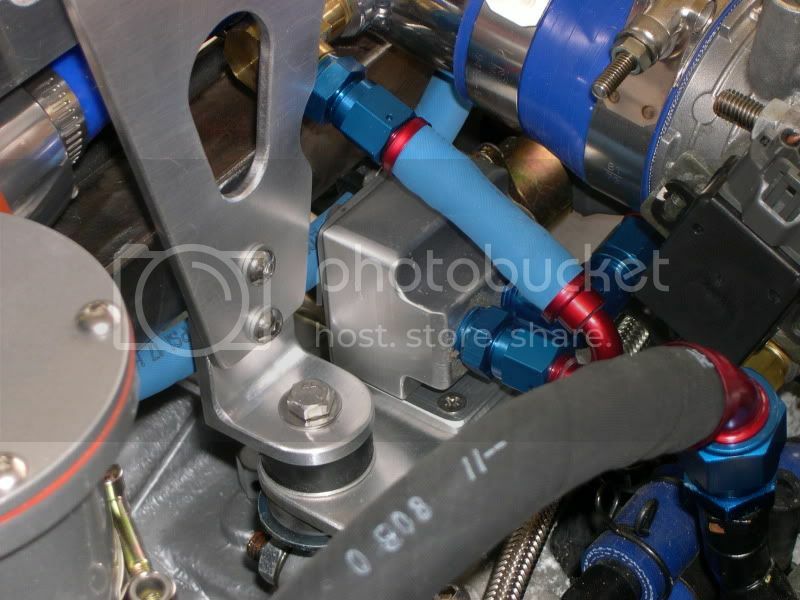 Adding this for possible ideas on using an aftermarket IAC valve on a Subaru install. So my rig now has fitted a stepper motor control valve, operating in conjunction with the Megasquirt controller. The valve body is a modified unit from DIY Autotune and uses the recommended GM stepper motor. I noted when I received the components the valve didn't seem to seal very well with the body port inside - the O-ring seal where the stepper fit well, but the pintle valve apparently wasn't really meant to seal 100% inside. I gather this is OK for V8 motors, which have lots of airflow at idle and likely use the "leakage" for actual idle control, or it just doesn't make any difference? I didn't want this for my turbo motor, so I machined a little seat that I lapped to the valve and then pressed into the body. This seals up air tight inside. The purpose of the valve is for warm-up only, the rest of the time I don't want any leakage. I also machined the body with a couple of external reliefs to add lightness and some character. It is now plumbed into the original OEM IAC valve port on the intake manifold. 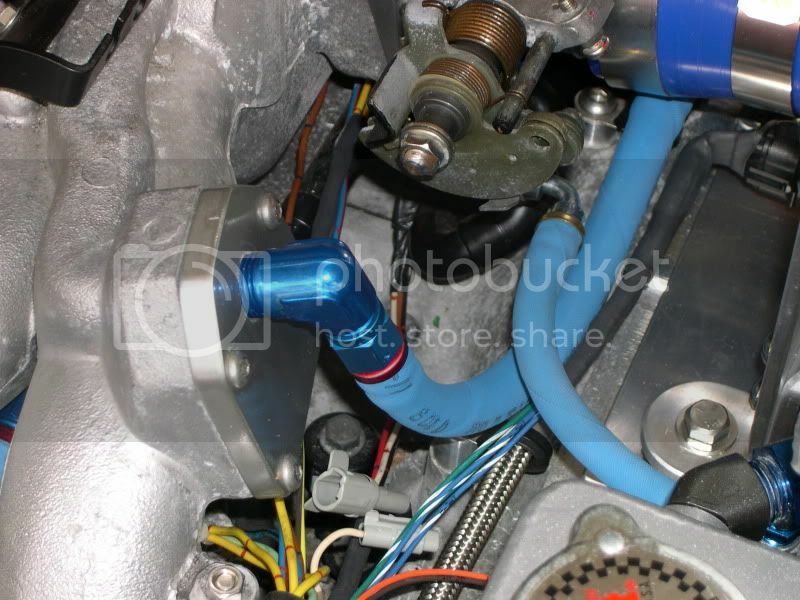 Plumbing route is from the intake tube just upstream of the throttle body, through the valve, and then into the manifold port where it is routed into the center of the intake plenum. It's pretty tight down there, and took lots of trial fitting to determine the location. I wanted the valve to be close to the engine to help prevent any icing, and to be unobtrusive. However, the plumbing on the whole engine is getting so complex you'd have to look for it and know what you're looking for to spot it. Couple of pics - the object is: "spot the IAC valve!" Just hoping at this point I don't have as much trouble programming for it as others have had on the MS Forums! Cool game! Let me know if I win a ride in the beast when its done. Good eye Jay! There's a lot going on down there, servicing any of that stuff is going to be a PITA! Still not sure how I'm going to verify the IAC is working (or working properly)? You really need to see the pintle valve in action, but with the fittings now in the ports, visibility is reduced to nil. Why don't you machine a place for a little Lexan viewing window in the valve seat area? how exactly does your IAC valve work? Mechanically I mean? What's it doing to increase RPM? I think I really need one on my Manxter, it likes to stall off of acceleration when cold, probably partly due to the lightened flywheel, and I think a faster idle while it warms up would help. It's just a controlled air leak into the intake system Adam. Mine is a stepper motor controlled poppet valve, like a miniature wastegate. The gold colored can is the stepper motor and valve, the aluminum block is the valve body and air passages. I haven't delved into the Megasquirt details about programming the unit to use it, but as I understand it the ECU monitors manifold pressure and from that determines airflow, then adds fuel to keep the engine running. Just like if you were cracking the throttle open a little - except this works without touching the throttle. It's also automatic - opening up when cold, then gradually closing as the engine warms up. Thanks Jeff. I assume this is what you started with? Can you point out in your picture the part that you had to machine for a tight seal? Also, where can i find the stepper motor? I'm still not very clear on where the air is coming in to the valve at. Is one of those lines in input and one and output? Do you have it up and running yet? How many RPM do you gain from it during warm up? Yes - it began with one of the DIYaototune IAC bodies. I had some spare time on a mill and decided to relieve on either side of the inlet/outlet ports (since that was just solid metal in that area). My valve body was one of the first runs and the machining wasn't super great (like squareness of the block, and maybe the fit of the valve/seat?). I also don't know if I may have gotten the wrong stepper and valve assembly? On the one I got, the valve diameter was a little small to fully seal the opening/seat in the valve body. I later found there are several similar stepper/valves with different diameter valve heads, so I probably just bought the wrong one. By that point I had already modified the valve body with a custom valve seat that matched the stepper I had, I even lapped the valve to the seat! I'd inquire to DIY if it is able to 100% seal when the valve is closed and exactly which IAC valve to use. They are a standard GM part, can be purchased at just about any FLAPS or mail order. The intake manifold on my engine already had an OEM IAC valve, except it was much larger, was water heated and had very large air hoses feeding it. It bolted right onto the manifold (and outlet directly into it). It was a hideous thing, and I also didn't know how it was regulated electrically and how to interface it with the Megasquirt. I decided to go the remote valve route and use the DIY valve. I created a block-off plate in place of the old valve, and installed a new fitting in it to accept the air from the new IAC valve. It routes the bypass air directly into the middle plenum area (just like originally). The Megasquirt is set up to handle controlling the stepper motor, so simply a matter of programming it at this point (once all the wiring is done). Something to check into if you want to run a similar valve - see if your ECU can control it? I don't have it running yet, doing all the hard stuff first (installation of the hardware). It should raise the RPM up to about 2K at start up, then gradually reduce it as it warms up. 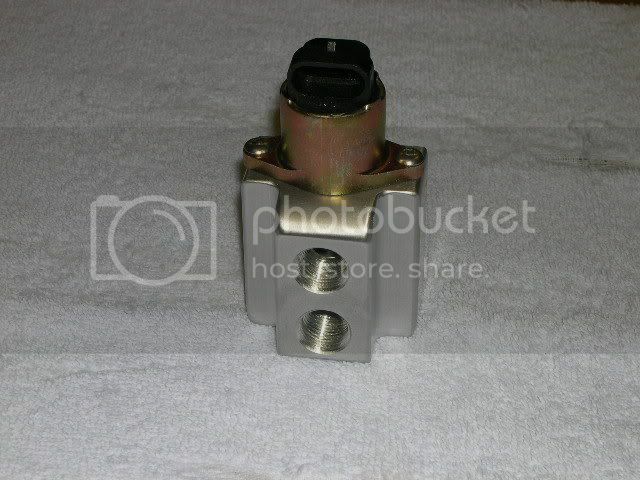 Presently installing another valve for boost control - yep, the MS can control that too! THanks Jeff. yeah, the Stinger ECU I'm running can do an IAC valve,though I'd have to give up the output that's currentlny controlling the intercooler fans (I can just put those on a switch. I don't think I need them unless I'm running real hard). The trick would be an inlet to the intake manifold as you said. Wonder if there's a way I could duplicate the VW way of doing this. Hi Jeff, hope you're still floating around here... I'm about ready to move forward on this, I freed up a spot on my ECU to control the valve. Just need to know which valve you are using. The DIY block says it's made for use with a valve for the Jeep in-line 4 cylinder engine from the 90s, but it looks like you used a GM valve? I found the block off plate on the intake monifold downstream of the throttle body. I can have that tapped for an AN Fitting. I just need to figure out how to supply fresh air to the valve. I was thinking about just sticking a tiny air filter on the end of a hose and feed it that way, but that will cause leaks on the turbo. Maybe not a big problem if it's just during warm up.. I dunno. I don't see a good place to tap in a AN fitting upstream of the throttle otherwise.